CORYDON, Ind. -- Seven people who became trapped by high waters while exploring a southern Indiana cave were rescued after 39 hours underground, officials said Monday. Two cavers were extricated around 10:45 p.m. on Sunday and five others were brought out at 3 a.m. on Monday, CBS Indianapolis affiliate WTTV reports. The group was conducting a survey of Binkley’s Cave near Corydon, located 25 miles west of Louisville, Kentucky. 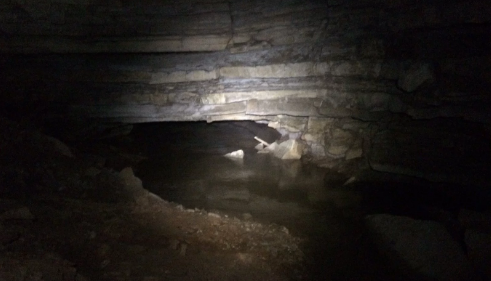 They failed to emerge as expected early on Sunday morning, according to the Indiana Department of Natural Resources, and emergency workers were called when the cavers didn’t exit at 3 a.m. as planned, Indiana Conservation Officer Jim Hash said. First responders had to wait about eight hours for the high waters inside the cave to subside at a rate of 3 inches an hour so they could reach the group, Hash said. The water temperature was 40 degrees or colder, Hash said, and rescuers had to brave water chest or neck-deep. The group was several hours from the cave entrance. All seven cavers were treated at the entrance of the cave for exposure and hypothermia. As many as 50 emergency workers and local cave experts responded to the scene, Hash said, including the Red Cross. Another benefit was that some of the cavers had as much as 20 to 40 years of experience. Hash described the group as hobbyists doing a survey of the cave, which is part of a miles-long cave system.